She is on top of the world as one of the world’s best triathletes and she credits Bermuda as part of what made her dream a reality. Flora Duffy started her triathlon career at the early age of seven and the island’s mild weather, undulating hills, winding roads and warm water all helped to create the perfect environment to help her to go on to a winning athletic career. She has represented Bermuda in three Olympics [and she has her sights set on Tokyo in 2020] and has won numerous competitions all over the world, including multiple ITU World Titles and four consecutive Xterra World Championships. She has — literally — won major international races all over the world including in Canada, Sweden, Netherlands, Japan, England, Mexico, Italy, Germany, South Africa, Bahamas, Australia, Philippines, United Kingdom, United States and more. And some she has even done in record setting style, her win at the 2017 ITU World Triathlon Yokohama in Japan saw her record the largest winning margin in WTS history, while her 2017 Xterra World Title win made her the first triathlete to win four consecutive Xterra world titles. And Flora continues to put the island on the map, and in April she will be representing Bermuda in the 2018 ITU World Triathlon Series, which will take place on her home course, and is set to attract some of the world’s top triathletes to Bermuda. But the Bermudian triathlete will not only have the huge hometown support, she will be the one to beat after Triathlon.org named her the “Best Overall Triathlete” for 2017. But it has also been the support of the Bermuda community that Flora also credits to her success. She often returns to Bermuda and her alma mater, Warwick Academy, to speak to young people about her journey and inspires them to reach their goals. 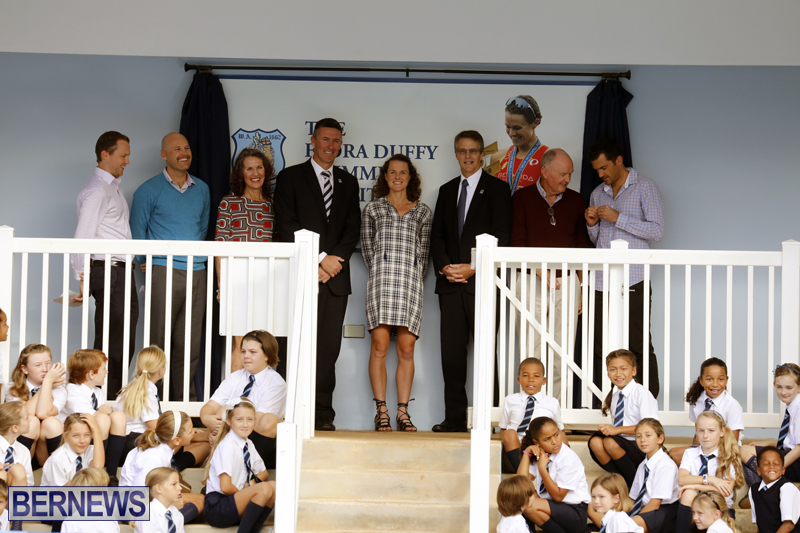 In 2017, Warwick Academy officially renamed the school’s pool The Flora Duffy Swimming Facility. Flora often carries the Bermuda flag over the finish line when she wins races, and after her first World Title back in 2014 she said that she grabbed the flag as becoming the first world champion triathlete from Bermuda gave her “so much Bermudian pride”. “It means a lot to me to do this from Bermuda, we’re a small little country and I love to represent them and put them on the map,” she said. 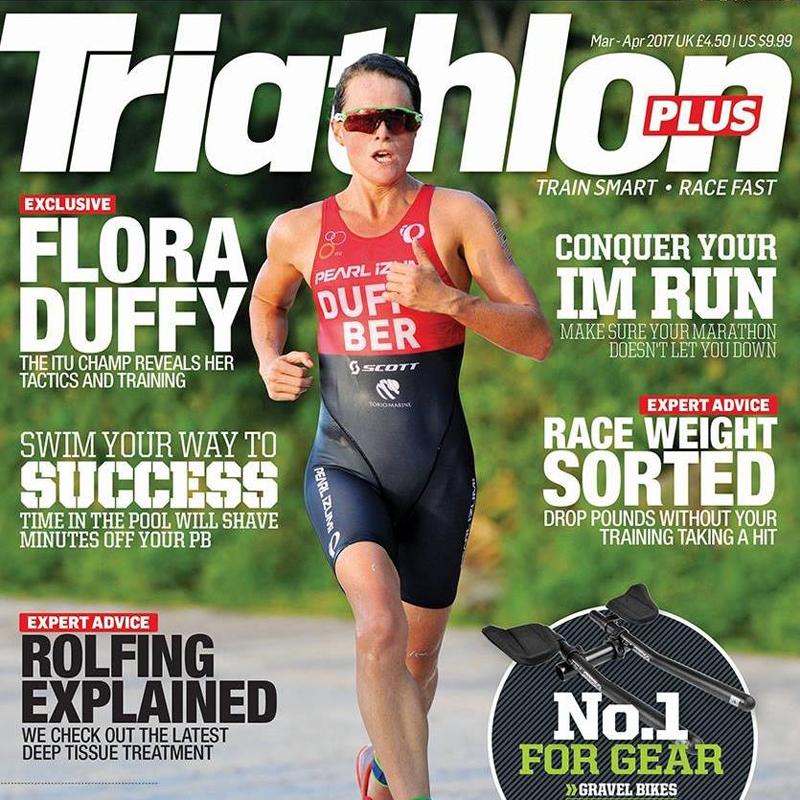 Flora has also been honoured by the International Triathlon Union this month as one of the “women that inspire triathlon,” with their website saying, “Duffy is the current powerhouse fierce female athlete competing at the elite level. In just a few years time she has gone from appearing in the winner’s circle to completely dominating it. “As the only elite woman competing for the small island country of Bermuda, she won her first World Triathlon Series race in WTS Stockholm in 2016. “After finishing 8th in the Rio de Janerio Olympic Games she then went on to win her first WTS World Championship in 2016. She then followed up her success in 2017 by winning six WTS races and earning the title of back-to-back World Champion. “That season put her in the history books as one of two women to warn the most WTS podiums in a single season  as well as earning a victory with the largest winningest margin in a women’s race with 110 seconds. In celebration of Women’s History Month and International Women’s Day, Bernews is featuring a series of profiles of exceptional Bermudian women throughout the month of March, with this profile representing the first of more to be published throughout the month. Congratulations Flora – you are an amazing athlete, and you make Bermuda proud !